Time to sell your Shipwatch condo? Read about today's resort-market buyer. Shipwatch condo condominium is one of the numerous condos in Orange Beach that offers the "best of both worlds", meaning that the narrow strip of land where the condo sits allows for boat facilities and also a short walk to the beach and the beautiful Gulf of Mexico. Shipwatch's ideal location in Perdido Key can only be rivaled by the onsite amenities offered, including a beautiful outdoor pool, clubhouse, sauna, fitness center, tennis court, and shuffleboard court. Please let us know if you would like further info for Shipwatch or any other condos, homes, or real estate along the Gulf Coast or would like to schedule a private viewing by emailing info@condoinvestment.com or by calling (251) Area-Pro (251-273-2776) for immediate assistance. RENTAL TIPS to help improve rental revenue at your Shipwatch condo. 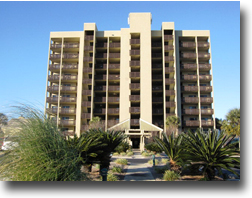 Find additional info for annual rental incomes at Shipwatch and all other Perdido Key condos.